Paula Creamer is a very pretty American golf star on the LPGA Tour. For Paula's many fans and for LPGA golf fans here are some great photos of her in action in 2017. Watch for pretty Paula Creamer on the LPGA Tour. Paula Creamer was born on August 5, 1986, in Mountain View, California. So far in her LPGA career, Paula Creamer has won 10 tournaments and her career earnings are $11.7 million. 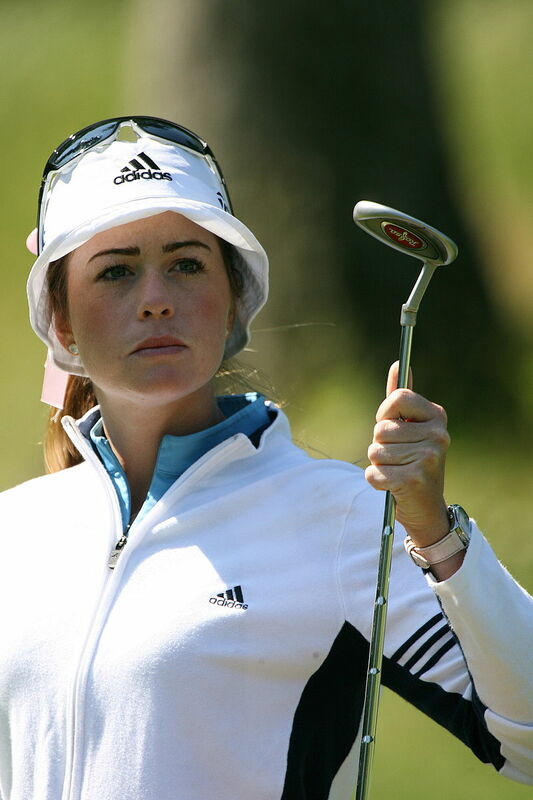 Paula Creamer was the LPGA Rookie of the Year in 2005. In 2010, Paula Creamer won the U.S. Women's Open to claim the only golf major so far in her career. Paula Creamer's career earnings of $11.7 million rank 9th best all-time on the LPGA career earnings list.